Every year, Ceyala “Lala” Reyes' family—aunts, uncles, mothers, fathers, and Lala's six older brothers—packs up three cars and, in a wild ride, drive from Chicago to the Little Grandfather and Awful Grandmother's house in Mexico City for the summer. Struggling to find a voice above the boom of her brothers and to understand her place on this side of the border and that, Lala is a shrewd observer of family life. But when she starts telling the Awful Grandmother's life story, seeking clues to how she got to be so awful, grandmother accuses Lala of exaggerating. Soon, a multigenerational family narrative turns into a whirlwind exploration of storytelling, lies, and life. 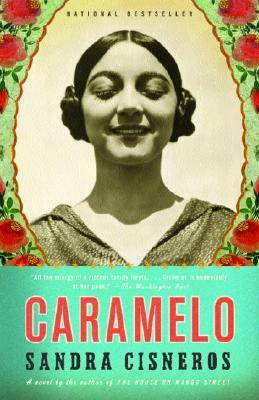 Like the cherished rebozo, or shawl, that has been passed down through generations of Reyes women, Caramelo is alive with the vibrations of history, family, and love. From the winner of the 2018 PEN/Nabokov Award for Achievement in International Literature.